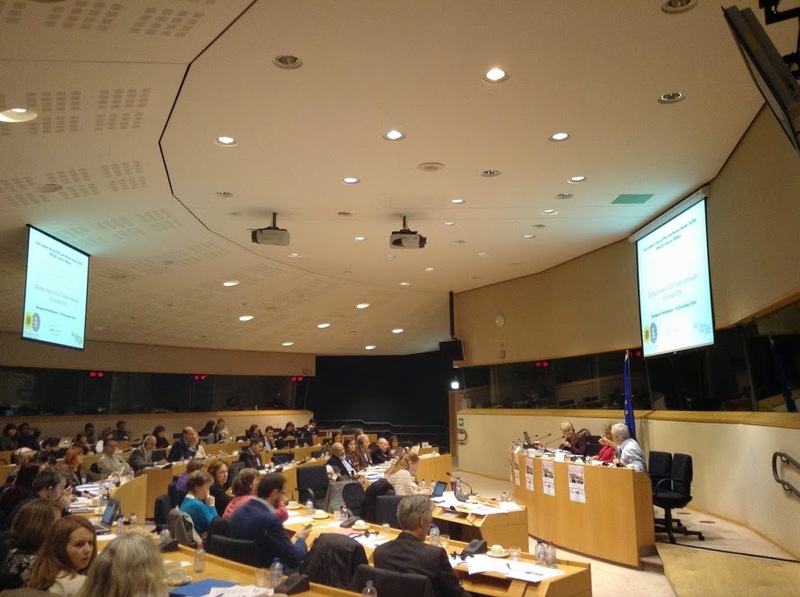 The specific aim of the event was to focus debates on the AGS 2016 and proposals for the Semester in 2016 and to see how progress can be made on a more social and sustainable EU agenda with increased democratic representation and participation from civil society and social stakeholders. See the programme of the Hearing. The event came at a timely moment to kick-start discussion around the launch of 2016 European Semester, following the adoption of the Annual Growth Survey 2016 in November, and the finalizing of the EP own initiative Report on the European Semester for economic policy coordination – Employment and Social Aspects in the AGS 2016. Although some progress is seen in the new AGS, a major concern for many stakeholders is the loss of visibility and importance given to the Europe 2020 strategy, with no specific proposals made by the EU on the Mid-Term Review, already a year overdue, and in particular its vision of smart, sustainable and inclusive growth. This includes how to make progress on the 5 targets – particularly lifting at least 20 million people out of poverty, achieving a 75% employment rate for women and men, reducing school dropout to below 10% and 40% completion of tertiary education by 30-34 year olds, and achieving a 20% increase in energy efficiency, and of mainstreaming gender and equality commitments. Action is also urgently needed to increase legitimacy, accountability and ownership with national and European Parliament and to make civil society and social stakeholders partners in the Semester process. The EU Alliance for a Democratic, Social and Sustainable European Semester (EU Semester Alliance) is a broad coalition bringing together 17 major European civil-society organisations and trade unions, representing thousands of member organisations on the ground at European, national and local levels in the European Union. The ‘EU Semester Alliance’ aims to support progress towards a more democratic, social and sustainable Europe 2020 Strategy, through strengthening civil dialogue engagement in the European Semester at national and EU levels. The EU Semester Alliance has been working actively in partnership with the European Parliament with the aim of strengthening the European Semester to deliver on its Europe 2020 promises and targets since 2012.